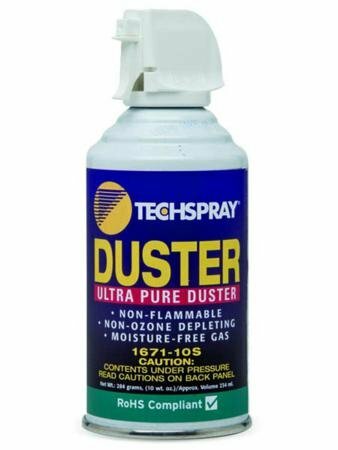 Formulated with HFC-134a, this exceptionally pure, moisture-free, inert gas removes particles without the use of harmful solvents. Because HFCs do not harm the ozone, this product has a zero ozone depletion factor. Duster removes microscopic contaminants, lint, dust, metallic oxide deposits and other soils.